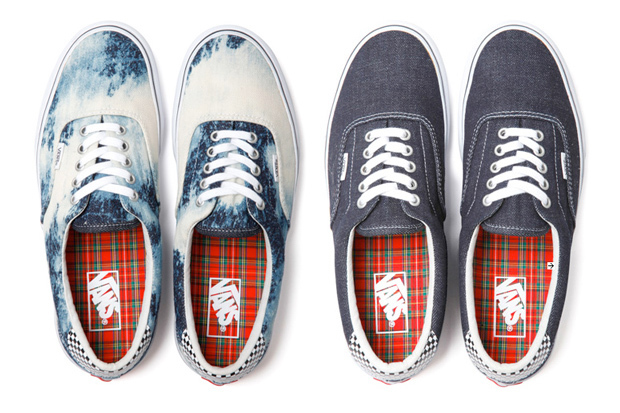 Supreme and Vans team up again to produce another release for the current Spring/Summer season. Supreme and Vans team up again to produce another release for the current Spring/Summer season. Supreme will be releasing two new styles of Vans – the Sk8-Hi Mid and the Era. Both styles feature a custom bleached denim upper and the Sk8-Hi Mid will feature suede details. Available in-store and online on May 27th and releasing in Japan on May 29th.